The bodybuilding world lost a true legend on January 1st, 2019. Ed Corney, The Master Poser, passed away at 85 years old after gifting the sport with a legendary legacy that will never be forgotten. Known as the “Master Poser”, he left his mark on bodybuilding & will always have recognition that will carry through for generations. Ed Corney took the sport of bodybuilding and transformed it into an artistic endeavor, in a way that was never seen before. Even now, decades after he last competed, the name of Ed Corney is synonymous with masterful posing. Ed was born in Honolulu, Hawaii in 1933. He joined the Coast Guard and spent four years in the service. He moved to the mainland at the age of 26, settling into the town of Fremont, California. Ed was impressed with the famous bodybuilders of that era, Jack Delinger, Alan Stephan and, of course, the legendary Steve Reeves. He began training as a means of enjoyment, not even considering the thought of competing in bodybuilding contests. After ten years of working out, Ed finally decided to compete in the local Mr. Fremont contest. He ended up winning the contest along with the Most Muscular trophy. After this first victory, Ed was hooked on the sport of bodybuilding. He loved the challenge of training the individual muscles, the art of displaying the physique on stage, the science of dieting to attain low body fat and, most of all, the attention he got from winning. He continued competing in competitions like the the Mr. Heart of California, Mr. Central California, Mr. Northern California and Mr. Western America. Ed was in awe of the new crop of bodybuilders who were winning titles at that time. Future icons of the sport such as Larry Scott, Dave Draper, Chuck Sipes and Sergio Oliva were so massive and impressive. At only 5’6”and 165 pounds, Ed didn’t know if he could ever match up to these monsters of the sport but he decided to give it everything he had. He began competing in the AAU competitions in California, including the prestigious AAU Mr. America. Ed only took 11th place at the 1970 Mr. America but moved up to 4th place in 1971. He won the 1971 AAU Mr. California title but then made the decision to switch over to the IFBB organization. Ed competed in the 1971 IFBB Mr. America against future legends Boyer Coe and Ken Waller. He won the short class but lost the overall to Waller. Ed had better luck at the IFBB Mr. USA that year, winning the short class and the overall title. He defeated the famous Harold Poole, winner of the tall class, to win the overall crown. The 1971 IFBB Mr. USA was held in conjunction with the IFBB Mr. World that year and future Mr. Olympia Franco Columbu was the winner of that event. Ed and Franco were both from the short class and they were breaking new ground by showing that a good short bodybuilder can beat the big boys and win the overall title as well. Ed traveled to Germany following his impressive Mr. USA win, and trained with Arnold Schwarzenegger there. Arnold was preparing to win his second Mr. Olympia title in Paris and Ed was going to compete in his first IFBB Mr. Universe contest. Ed bonded with Arnold during their time training together as they both trained hard to win their respective competitions. Ed placed third in the medium height class at the 1971 IFBB Mr. Universe. The amazing Albert Beckles won the class and the overall with the great Turkish bodybuilder Ahmet Enunlu in second place. The experience was an enlightening one for Corney as he realized that he could win the Mr. Universe if he devoted himself to training hard for one full year. For the next year, Ed trained with the mind and heart of a champion. He maintained a good diet and worked hard with the intensity of a winner. He was ready to take a step forward and change his life by winning the Mr. Universe title. In 1972, Ed entered and won the overall IFBB Mr. America. He was now on the American team to compete at the Mr. Universe contest. Before competing in the Universe, Ed also entered the IFBB Mr. International, winning the short class but losing the overall to Ken Waller. The 1972 IFBB Mr. Universe was a high point in Ed Corney’s career. Writer Charles Gaines and photographer George Butler began working on a book about the sport of bodybuilding called Pumping Iron: The Art and Sport of Bodybuilding. One of the competitions that they were going to cover for the book was the 1972 Mr. Universe in Baghdad, Iraq. Gaines and Butler interviewed and photographed Corney and his American teammate Mike Katz during their stay in Baghdad. Ed was in superb shape for the 1972 Mr. Universe. He won the medium class and then beat Mike Katz for the overall title. Ed Corney had achieved his dream, he was now Mr. Universe! His magnificent physique was captured by the skilled camera lens of Butler and Corney received mainstream publicity by being featured in the book. When it came time to decide which photo should grace the cover of the book Pumping Iron, Gaines and Butler picked a photo of Ed with his hands overhead in victory as he was announced the winner of the 1972 Mr. Universe. The book was released in 1974 and became a national best seller. For the next two years, Ed retained his amateur status and competed in the 1973 IFBB Mr. World and the 1974 IFBB Mr. International and Mr. World. Although he won his height class at all three events, he was not as motivated to compete as he had been when he won the Mr. Universe in 1972. Ed Corney was managing a night club in San Francisco and training without a goal in sight in 1975 when he received a phone call from Arnold Schwarzenegger. Arnold had recently finished filming the movie “Stay Hungry” and was gearing up to compete in the Mr. Olympia that year. At a reduced bodyweight of 210 pounds, Arnold only had about three months to transform his lean physique into 235 pounds of brute muscle in order to win his sixth Mr. Olympia title. He asked Ed what his plans were for the year because he was in search of a training partner who would be a positive force in his training for the Olympia. Ed told Arnold he planned on winning the Under 200 Pound class at the Mr. Olympia that year and he would be honored to train with the King of Bodybuilding. Arnold suggested that Ed move into his house for the next three months as they both prepared for the 1975 Mr. Olympia. Ed told the owners of the nightclub in San Francisco as well as his fiancé that he would be taking a leave of absence to train for the contest. Ed’s training that year was another highlight of his bodybuilding career. Living, eating and training with Arnold motivated him to get into the best shape of his life. Arnold gained muscle during their 12 week preparation while Corney lost weight and refined his classic physique to compete against Columbu, Zane and Beckles in the Under 200 Pound Class at the Mr. Olympia. As Arnold’s training partner, Ed was also featured extensively in the film “Pumping Iron”. George Butler had decided to make a documentary film about bodybuilding after the great success of the book he had collaborated on with Charles Gaines. The cameras captured training footage of Ed training with Arnold as well as all the action that took place onstage at the 1975 Mr. Olympia in Pretoria, South Africa. Ed surprised everyone with his amazing condition and his outstanding posing at the Mr. Olympia that year. He defeated the great Frank Zane and Albert Beckles to place a close second to Franco in the Under 200 Pound class. He also became famous for his never-before-seen posing when Arnold exclaimed for the “Pumping Iron” cameras, “Now that, that is what I call posing”. The following year, Ed returned to the Mr. Olympia when it was held in Columbus, Ohio for the first time. 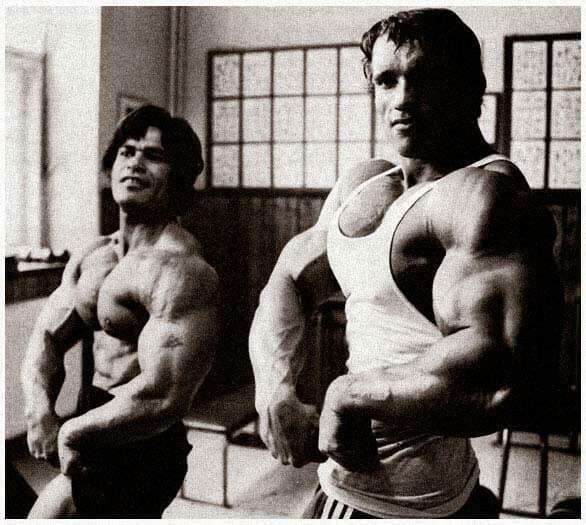 Arnold and his partner Jim Lorimer had taken over promoting the Mr. Olympia and the contest was a huge success. Ed took third place in the Under 200 Pound Class behind the winner Franco Columbu and Boyer Coe who took second place. In 1977, the film “Pumping Iron” was released to audiences in January. As bodybuilding fans from around the world flocked to see the movie, Ed Corney became famous for his role in the film. His reputation as the Greatest Poser in the world was widely accepted and Corney’s picture from the cover of the book Pumping Iron was also used on the movie poster to promote the film. At the 1977 Mr. Olympia contest in Columbus, Ohio, Ed Corney was given a hero’s welcome as he took to the stage to perform his posing routine. Always an audience favorite, Ed was now enjoying superstar status thanks to his celebrated performance in the film “Pumping Iron”. 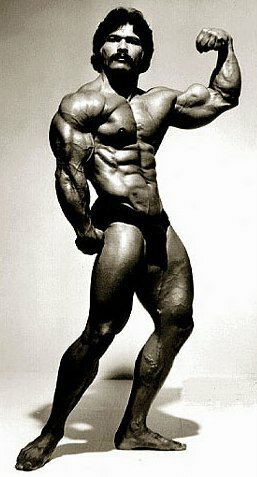 With a standing crowd of 4000 people packed into the Veterans Memorial Auditorium and the television cameras from ABC-TV’s Wide World of Sports recording the action, Ed Corney walked onstage in the best shape of his life and delivered a spine-tingling posing routine that brought the sophisticated bodybuilding fans to their feet! Never before had a bodybuilding audience witnessed a more artistic and beautiful display of the muscular human physique then Ed Corney had performed on that fall day in 1977. The fans screamed their appreciation as Ed received two standing ovations for his incredible posing routine. At the finals of the Mr. Olympia that evening, 3-time Mr. Universe Reg Park, acting as the emcee of the night, announced Ed Corney in second place behind the winner Frank Zane. The audience cheered the announcement although Park had made an error and quickly corrected his mistake, with Robby Robinson the rightful second place winner followed by Corney in third. In a classy gesture, Ed walked over to Robby and handed him his second place check while putting his arm around Robinson’s massive shoulders. 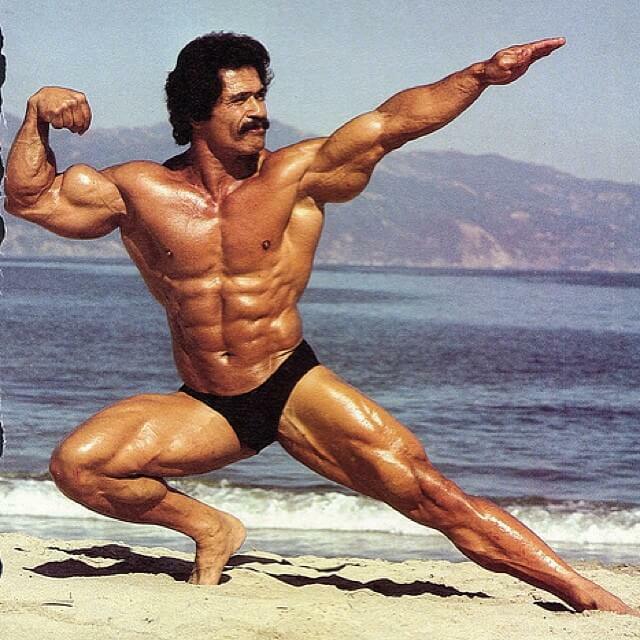 Ed Corney would go on to compete in ten more Mr. Olympia competitions, the last five in the Masters Mr. Olympia event. Although he never placed higher than his 1977 Mr. Olympia appearance, Ed was always regarded as the Master Poser in the sport of bodybuilding. His last contest was the Masters Arnold Classic in 1998 where he took 10th place at the age of 64. 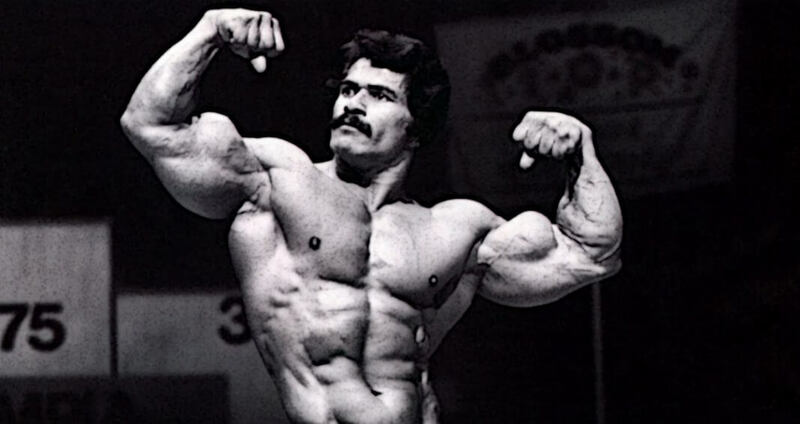 Ed Corney showed the bodybuilding world how the physique should be presented and he demonstrated his art longer than most athletes were able to compete. He elevated the art of posing by displaying his physique in a beautiful and artistic fashion. 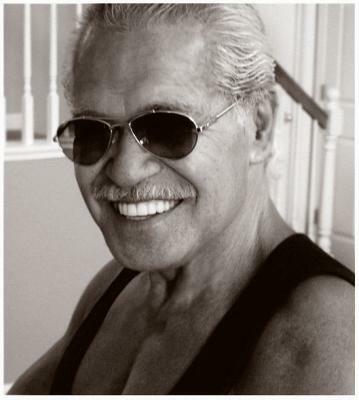 Ed Corney will always be remembered as the Master Poser and his example of what Bodybuilding can be will be an inspiration for generations to come. Rest in Peace to Ed Corney, and condolences to his family and loved ones, the Bodybuilding community will forever appreciate his immeasurable impact on the sport and will always look up to him as an unbelievable role model.